Community Spotlight- Week 18 WINNER! If you want to find out the results and participate in the poll, click here! 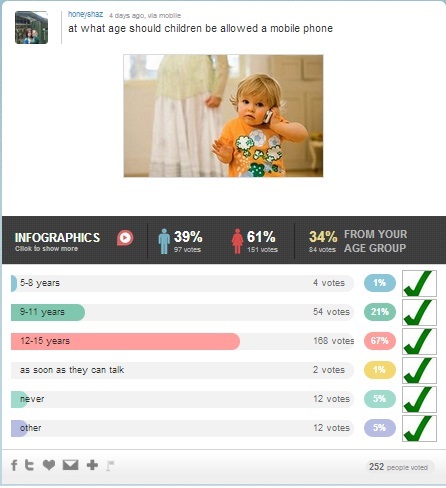 Most kids these age have a mobile phone, but what age do you feel is the right age? We would to hear your opinion. If you want to get involved and win 5,000 points for the content you create, please leave your links for us to have a look at. We are putting the Community Spotlight contest on hold for a while, but stayed tuned for its return!